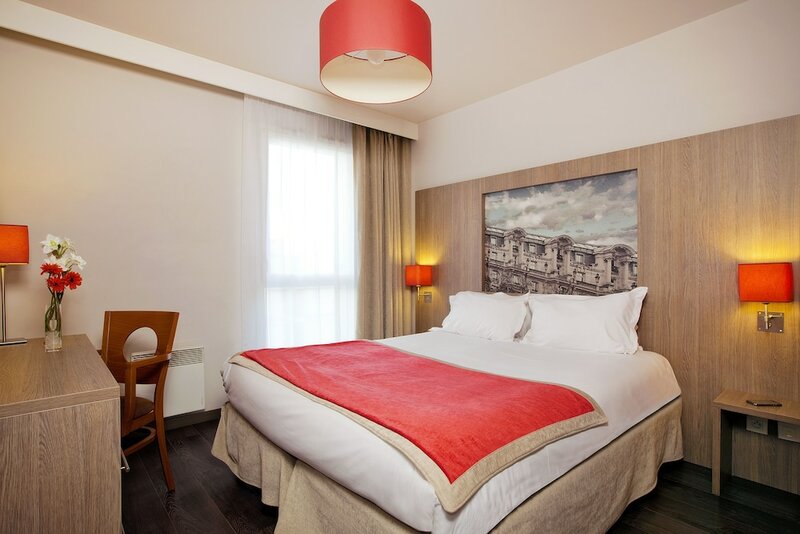 With a stay at Residhome Paris-Guyancourt in Guyancourt, you'll be in the business district, within a 15-minute drive of France Miniature and Inovel Business Park. This hotel is 4.8 mi (7.7 km) from Palace of Versailles and 15 mi (24.1 km) from Parc des Princes. Make yourself at home in one of the 160 guestrooms, featuring kitchens with refrigerators and microwaves. LCD televisions with digital programming provide entertainment, while complimentary wireless Internet access keeps you connected. Conveniences include safes and desks, and housekeeping is provided weekly. Breakfast is available daily from 6:30 AM to 9:30 AM for a fee.